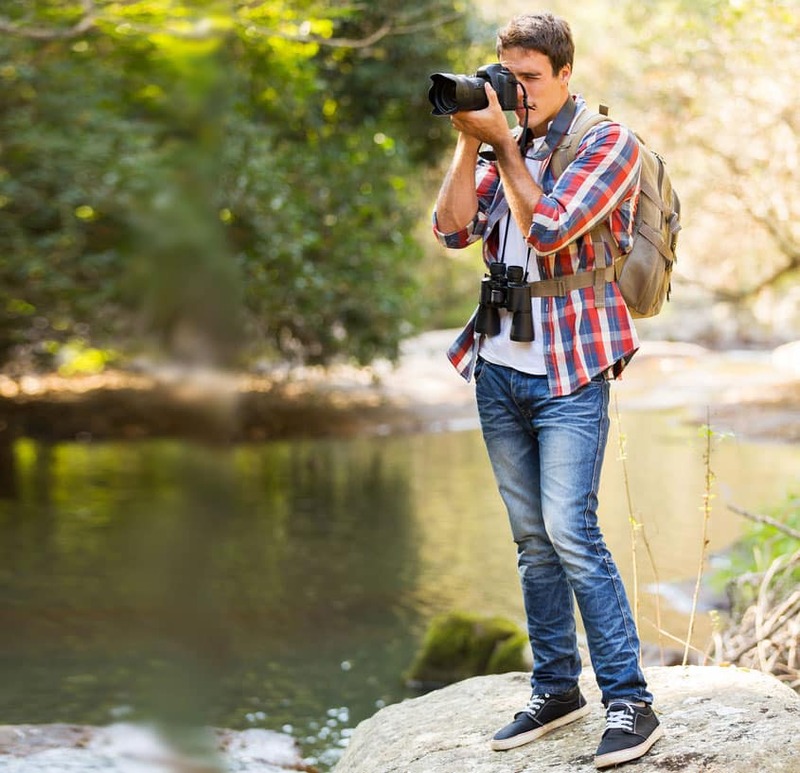 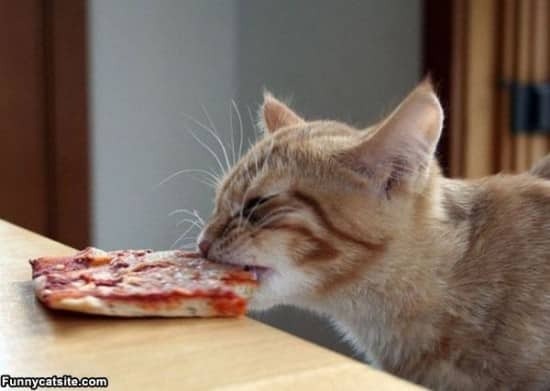 Unless you have some sort of stupid allergy against wheat or pepperoni or what have you, I’m guessing you absolutely love pizza; they’re crusty discs of bread smothered with cheese, tomatoes, mushrooms, olives, ham and even pineapples, for god’s sake! 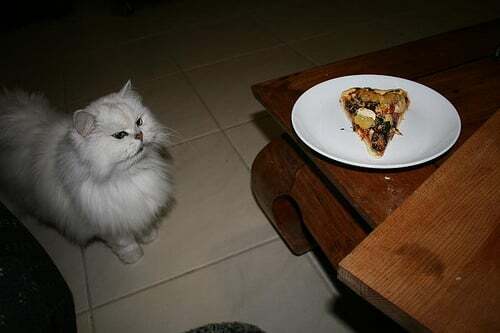 To us mere mortals, they’re godly meals that tickle our taste buds and fill our unworthy stomachs. 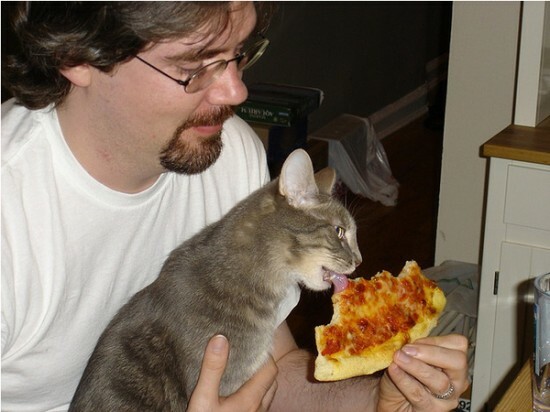 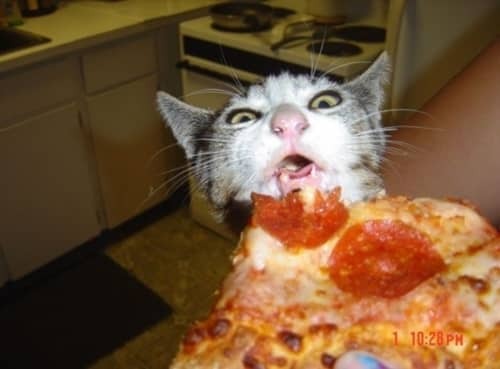 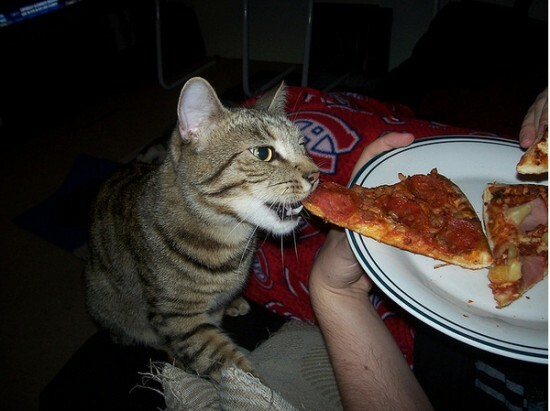 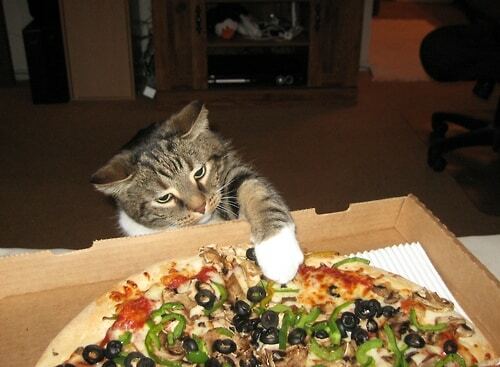 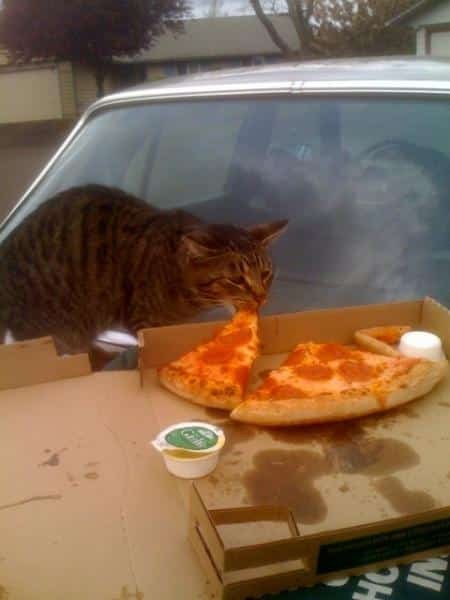 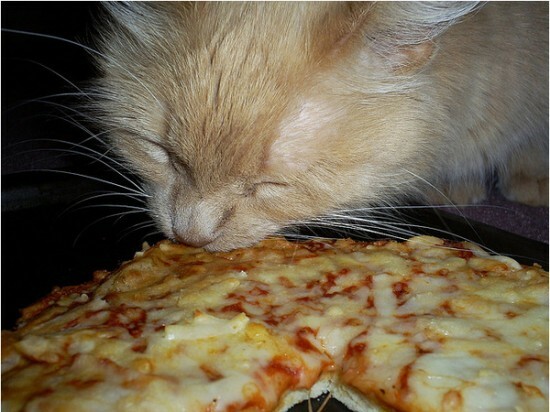 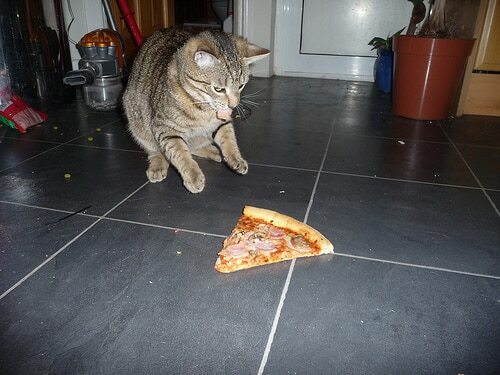 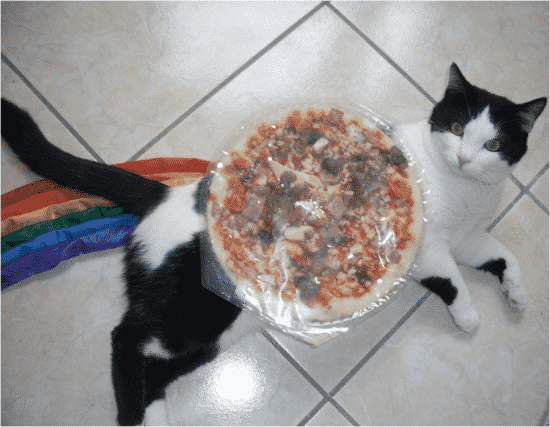 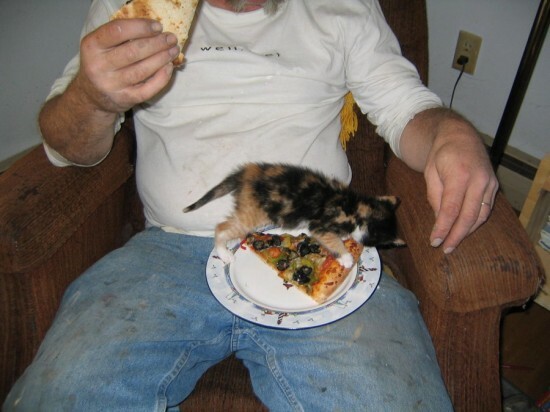 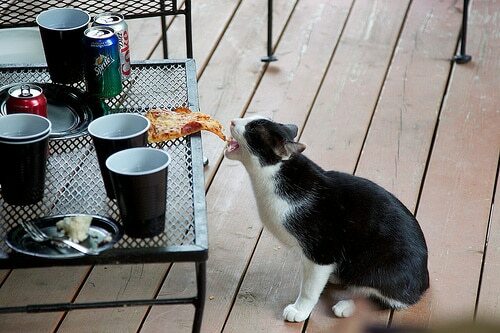 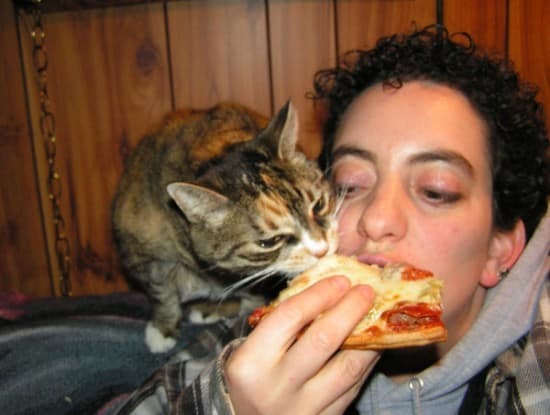 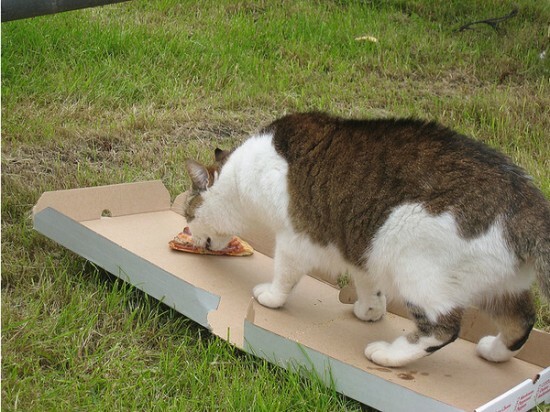 But we’re not the only species on planet Earth that enjoys devouring slices of pizza; no, no – cats do too. 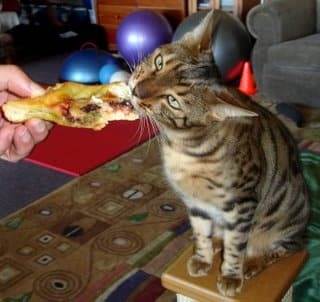 Yes, as you’ll see in the rib-tickling pictures arranged below, our feline companions also enjoy the scrumptious taste of Italy’s finest invention. 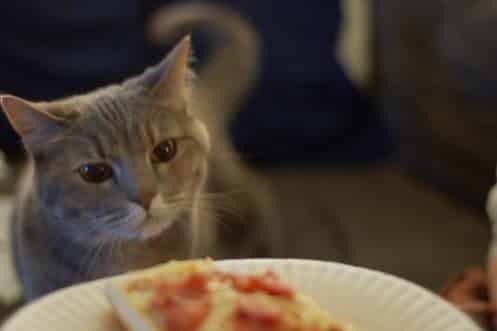 They enjoy all sorts of pizzas, from cheese and tomato to spinach and ricotta. 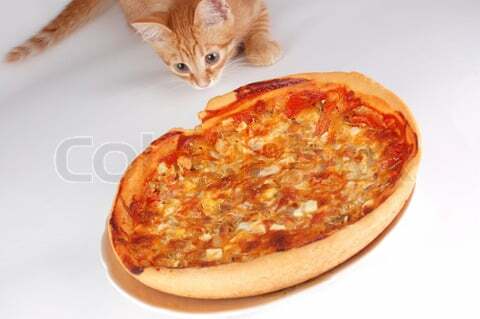 They like deep-dish, thin-crust, small, medium and large. 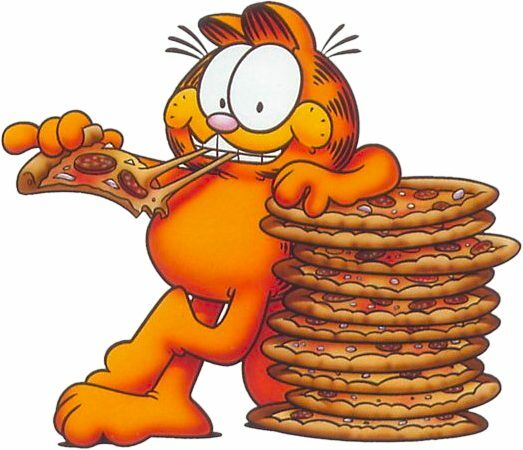 They’re regular old Garfield wannabes and unashamed to say so. 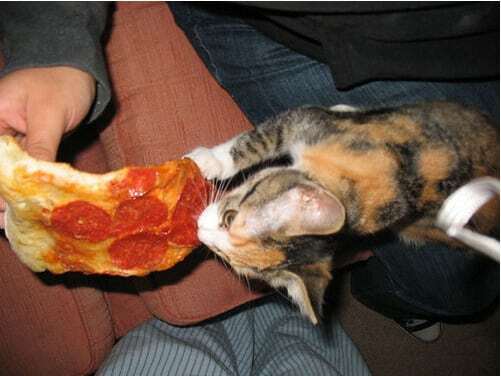 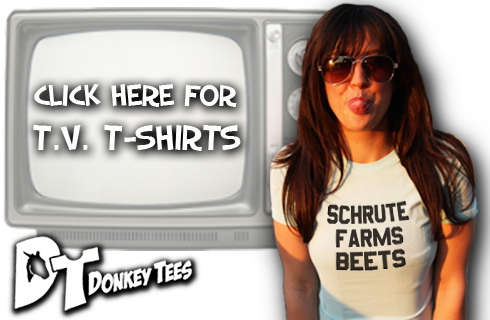 Now, go on, take a peek, but no snatching any slices; kitties have got claws, remember. 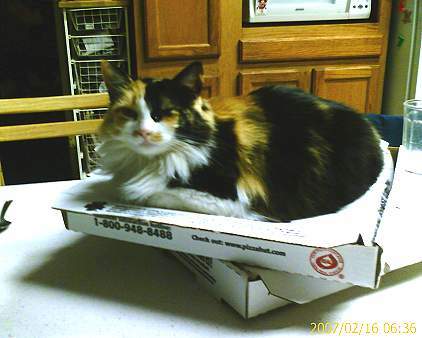 #1: Bottom right, on top of white folded cooterfmr/blanket.#2: Not sure, I think it’s the orange blob-thing behind the fence.#3: See the stack of rocks on the right? 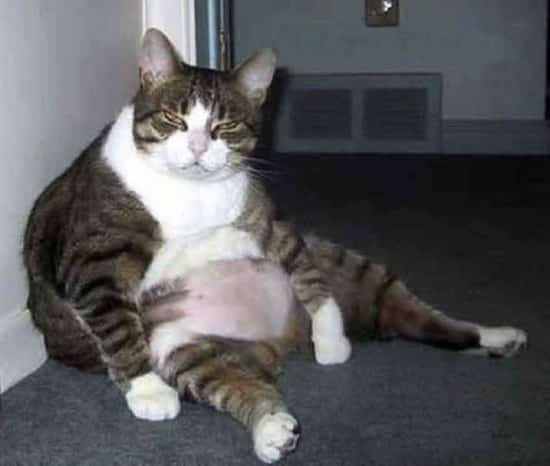 Cat is right in front of those rocks, sitting there, looking smug because he’s the same color as the rocks.#4: Middle of picture, left side, white cat walking down garbage.#5: I have no freaking clue. 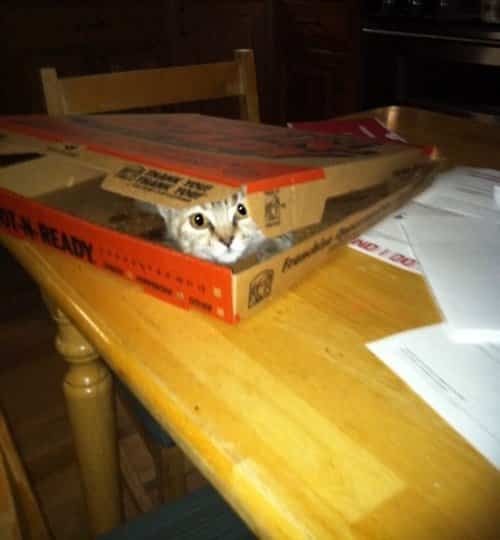 Clever cat.